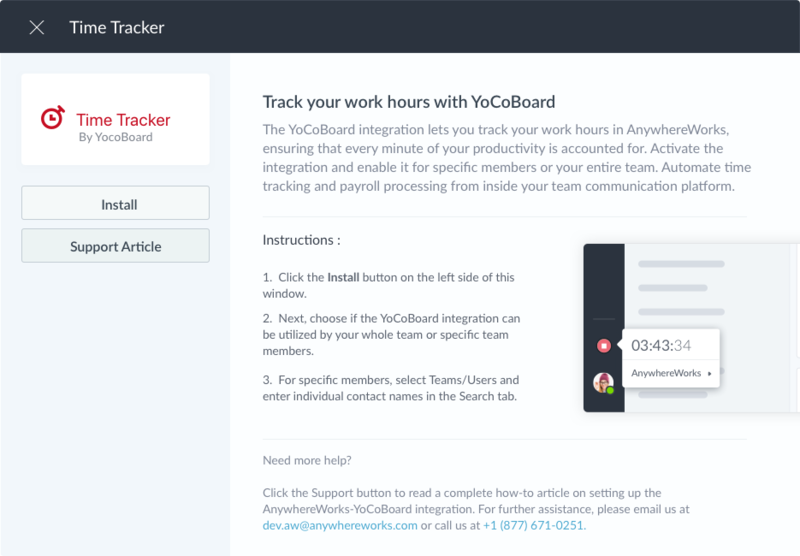 Embed time tracking in your online team collaboration software with the AnywhereWorks-YoCoBoard integration. 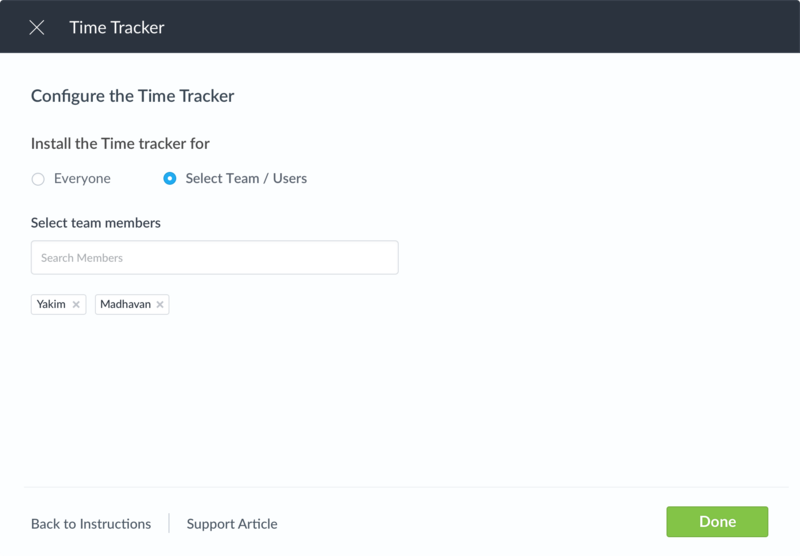 You can customize the integration by enabling it for your team or certain team members. This integration also allows you to export the work hours of your team in a CSV format for simplified payroll processing. 1. Navigate to the Apps & Integrations icon in the sidebar of your AnywhereWorks app and choose the Time Tracker card. 2. In the Time Tracker pop-up window, click the Install button. 3. Next, you can configure the visibility of the integration for your space. To enable the integration for everyone in your team’s Space, choose the Everyone radio button. To enable the integration for a few teams/users, click the Teams/Users option and enter the names of members/teams in the Select team members tab. 4. Click the Done button to save your configuration settings and activate the integration.